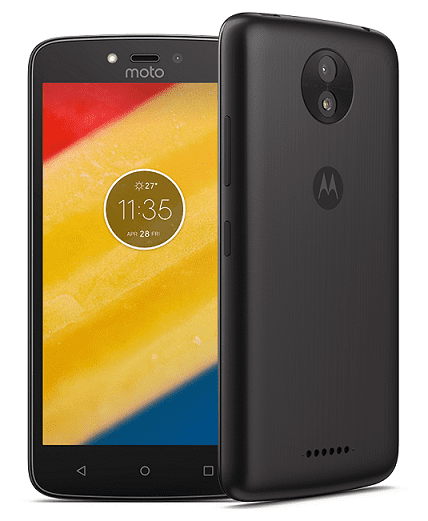 As the ‘Plus’ in its moniker suggests, the Moto C Plus is an upgraded version of the Moto C. The budget-friendly smartphone comes with an improved display, slightly more powerful processor and longer-lasting battery. There is virtually nothing separating the Moto C Plus from the regular variant in terms of look. It is thicker and heavier at 10 mm and 160 g respectively. An area of improvement is the 5-inch display which boasts a better HD (720 x 1280 pixels) resolution for sharper images. The Moto C Plus has a screen-to-body ratio of roughly 66 percent. The Moto C Plus offers a better rear camera with a higher resolution of 8 megapixels. The shooter has an f/2.2 aperture and 71-degree field of view (FOV). Camera features include autofocus, LED flash, HDR and touch focus. 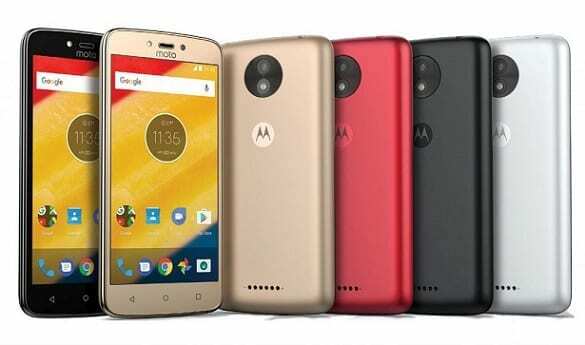 But the rear snapper can only record maximum of 720p (HD) videos, just like the Moto C. You also get the measly 2MP selfie camera with flash. Integrated storage is 16 GB, expandable by 32 GB. Motorola gives performance a slight boost here. While the Moto C Plus does come with a quad-core MediaTek MT6737, this one is faster at 1.3 GHz. A model of the device offers users 2 GB of RAM for improved responsiveness and more enjoyable gaming. And talking about gaming, a Mali-T720 MP2 GPU sees to graphics crunching. Like its regular brother, the Moto C Plus boots to Android 7.0 Nougat OS. If you thought the battery on the Moto C was rather poor, then this one may be satisfactory. The Moto C Plus comes with a large 4,000mAh Li-Po battery. With this one, you may expect to use the device more than a day without topping up. Another interesting thing is that the battery appears to be removable. In addition to 2G and 3G, the phone works on lightning-fast 4G LTE networks. Moto C Plus also offers regular wireless connectivity options such as Bluetooth 4.2 and Wi-Fi 802.11 b/g/n with hotspot. You can get the device in single- or double-SIM variant. Moto C Plus is not yet available in Nigeria, Ghana, or Kenya. It is expected to begin its global launch starting at a price of €119. We currently have no data on pricing and availability for Nigeria, Ghana, or Kenya. When available, Moto C Plus Price in Nigeria is expected to range from 47,500 Naira to 65,000 Naira at launch.